Less stock-outs, more storage space. Whether you’re an OEM or a wholesale-distributor in the automotive parts industry, one thing’s for certain–SKUs are increasing at a rapid pace, and with vehicle recalls and new program lines being a constant, it’s become even more challenging to find the right balance between keeping those high-velocity parts in stock while having enough space for he slower moving parts as well. 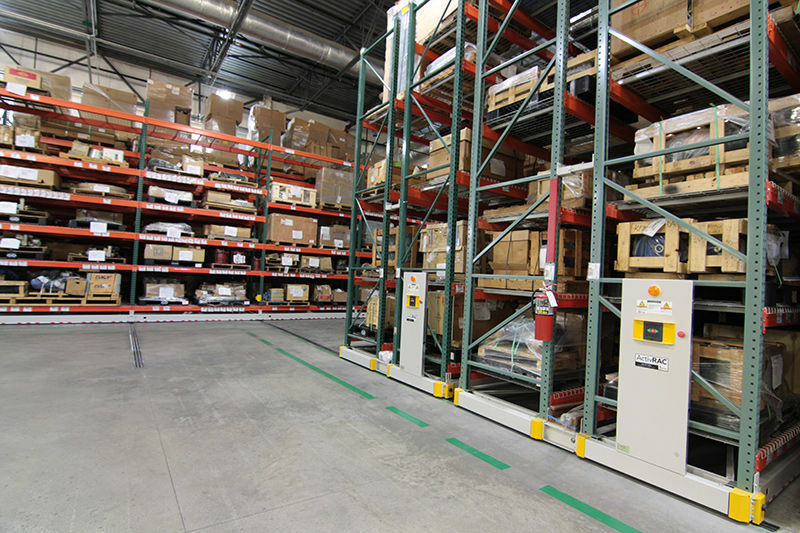 ActivRAC’s innovative automotive parts storage system accommodates existing shelving and racking storage and provides an efficient, compact solution to recover wasted aisle space. Click here to learn more about ActivRAC. 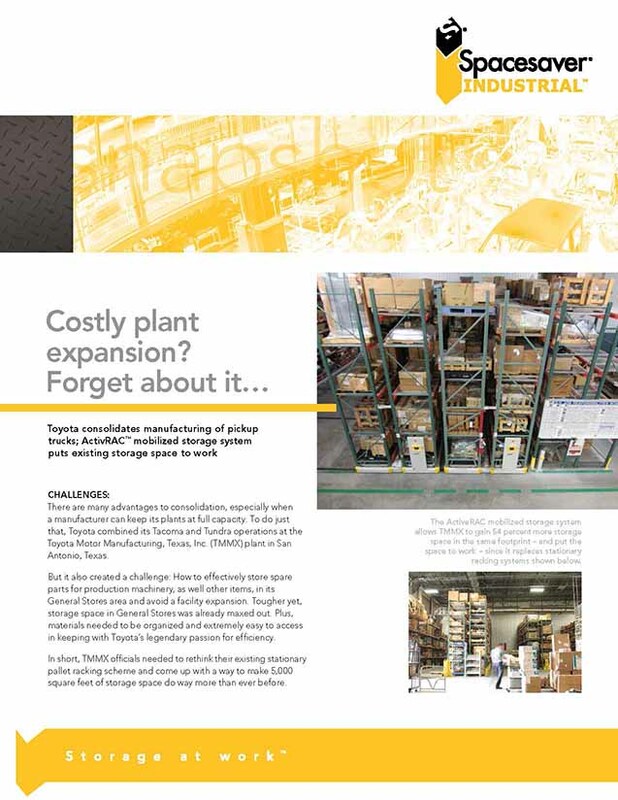 Download this case study now to learn how a Southern Car Manufacturing Facility gained 54% more storage space in the same footprint with ActivRAC.